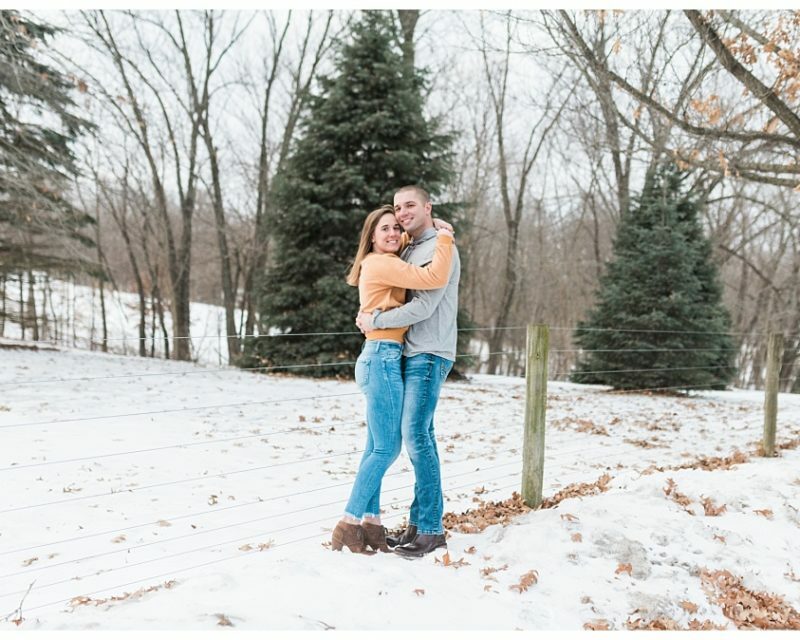 What Iowa Hawkeye fan wouldn’t want an epic Kinnick Stadium engagement session? When I received an email from Liz a few days before their engagement session, I was thrilled she wanted to take photos at Kinnick Stadium! Shortly after we arrived and started snapping away outside of the stadium, a knight in shining armor ushered us into the gates and allowed us to photograph inside the stadium. We may have done a little happy dance because it’s not everyday that you can just walk in and take photos on the field unless you have your wedding in Kinnick’s press box. But taking photos on the brand new field with the awesome Tiger Hawk on the 50 yard line?? SO MUCH YES. I had to title this with “epic” because if you’re as big of Hawkeye fans as these two (and me + my husbands family), and you’re allowed in Kinnick stadium for engagement photos, it’s truly EPIC. Anyway, being the HUGE Hawkeye fans that we are, we were giddy with excitement the whole time and I can definitely recall my palms sweating and my heart racing while we were taking pictures. Nick + Liz are one of my favorite couples – they’re so dang adorable together and I can’t wait for their wedding this month!